[558KB] Click to view full size image. 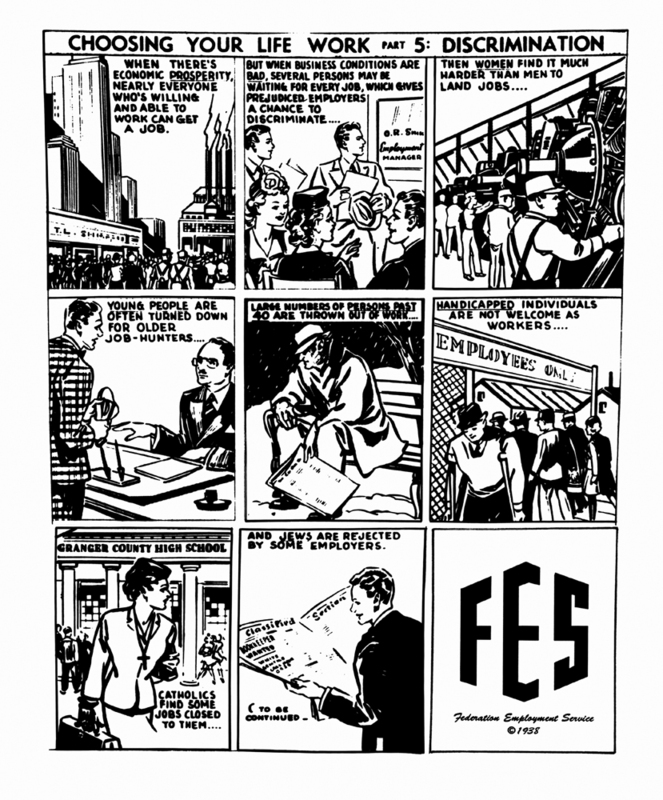 One of the earliest mandates of FES was to fight discrimination in the workplace. This 1930's ad sought to bring attention and sensitivity to employment barriers faced by women, older workers, people with disabilities, Jews, Catholics and others.